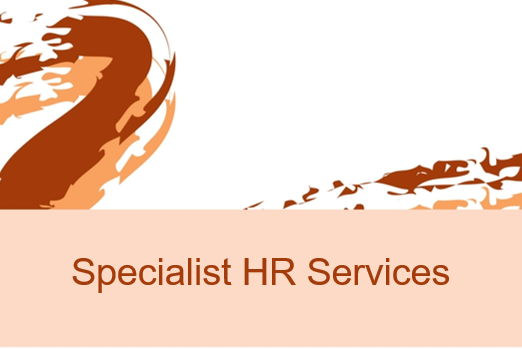 Makwara Solutions works closely with Human Resource Solutions Australia to provide the highest quality Specialist HR Services. With expertise and extensive experience in all areas of Human Resources, our AHRI (Australian Human Resources Institute) certified consultants have the capability to assist your organisation in all strategic and functional areas of Human Resources. Our team will work collaboratively with you to understand your organisation, its drivers, culture and its strategic objectives and help you minimise all employment related risks within your business. If you require advice and guidance on specific projects, issues or strategies we can tailor our services and provide a sustainable solution to suit the needs of your organisation. The foundations of a successful organisation begin with an effective organisational structure. Our approach to organisational design focuses on clear accountabilities, streamlined decision making and evidence-based assessment of resourcing needs. With proven abilities in organisational design and development our team are flexible in their approach and can work as internal or external consultants to assist you with your needs in order to lead to improved outcomes for your organisation. We will work collaboratively with your team for all of your organisational design needs as well as developing strategic workforce plans and assisting you with any change management activities. We are experienced in dealing with many state and federal government employment frameworks and the challenges that go along with them. As the industrial landscape is continuing to change, so do the rules which govern them. Planning, developing, negotiating and implementing enterprise agreements within the confines of the public-sector policy making bodies is where we can work with your team to provide advice and assistance. Working effectively through your consultative obligations with key stakeholders is another area, which if managed well, can mitigate against escalation of workplace issues. Providing assistance in meeting legislative obligations and government frameworks, we have the ability to work with you to develop remuneration strategies in order to ensure you have an appropriate workforce to deliver successful outcomes for your organisation. To recognise strengths and identify any needs for improvement in the area of Human Resources we are able to provide in depth HR audits. With a comprehensive, systematic and tested method, we will review your current human resources policies, procedures, documentation and systems and identify any needs for improvement. Our experienced team will work with you to execute any enhancement of your HR function and in addition assess all compliance with ever-changing rules and regulations. A HR productivity audit can ensure the effective utilisation of your organisations human resources and can ensure you are meeting your obligations as an employer. Whether you require temporary contract or labour hire recruitment, we are renowned for our practical recruitment solutions and offer a comprehensive methodology, proficient processes and tailored best practice recruitment solutions. Our consultants pride themselves on many years’ experience within government, private and not-for profit sector temporary recruitment and will provide you with an efficient and cost-effective solution to suit your requirements. Getting the right people with the right skill at the right time is the methodology that underpins our sourcing of quality staff for clients. How long has it been since you investigated best practice recruitment and selection strategies? Having the right recruitment and selection strategy that reflects modern business is paramount and will have a direct impact on your organisations productivity, team culture and subsequently profitability. Our consultants are experts in both government and private personnel recruitment and will assist you to develop tailored strategies that strategically align with your organisations corporate objectives, structure, and culture which will in turn facilitate recruitment of high quality staff. We specialise in executive recruitment, permanent and temporary recruitment as well as large scale bulk recruitment rounds. Our proven methodology and tailored approach can assist with all your recruitment needs. With a cohesive team of HR and recruitment advisors who pride themselves on transparency and a consultative approach and a commitment to finding the right staff for your business, we can identify the right people for each individual requirement. Finding the right people for your organisation can be a stressful and time-consuming process for hiring managers and HR staff alike. We are able to manage your end-to-end permanent recruitment processes on or offsite, in close collaboration with management and your HR team to deliver timely quality outcomes and ultimately find the best talent for your organisation. Our highly efficient and streamlined methodology and project management approach manages all aspects of the process for you from initial planning through to the new employees commencing. We can take the stress out of your permanent recruitment processes and can align your recruitment strategies with your organisational goals. Whether its clerical, administrative or secretarial staff that you require we can help you. Sourcing the right candidate with the right skills at the right time is essential to provide high level quality support to organisations. Utilising our in-depth understanding of the capabilities required, work levels standards that apply and the vast experience in recruiting for administrative and support roles across government our experienced consultants can quickly understand the requirements of the role and utilise our recruitment methodologies to ensure that the best candidate is found for your organisation. Makwara Solutions © 2019. All Rights Reserved.